The hole was hardly a supreme surf spot, but it was the best feature we’d seen in 100 miles. All nineteen kayakers pulled into line, awaiting their chance to surf, or should I say, be surfed. The next twenty minutes featured several entertaining rides of the “I’m ready for this to be over but I can’t seem to get out of here” variety—a good ol’ boat rolling, hole buckin’ whitewater rodeo. Teacher and ex-pro freestyler Peter Benedict might have had the most styling session, but student Nicole was the top crowd pleaser. Was that six window-shades in one ride? 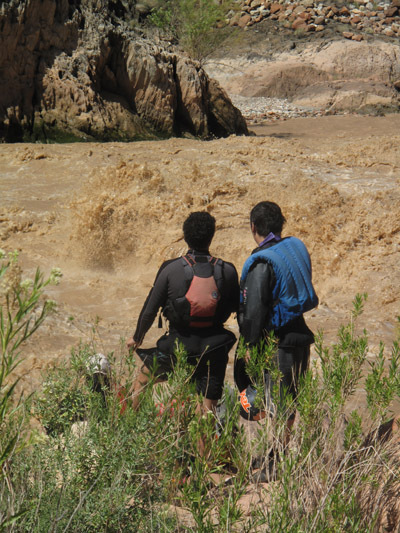 We didn’t want our kayak fun to be over, but just downstream from the surf spot, the Colorado River was subdued within the silt of Lake Mead. Undesirable as it was, this was an important aspect to the trip, which featured an exchange between Chilean teenagers from Club Nautico Escualo, and American youths from the Colorado Rocky Mountain School. 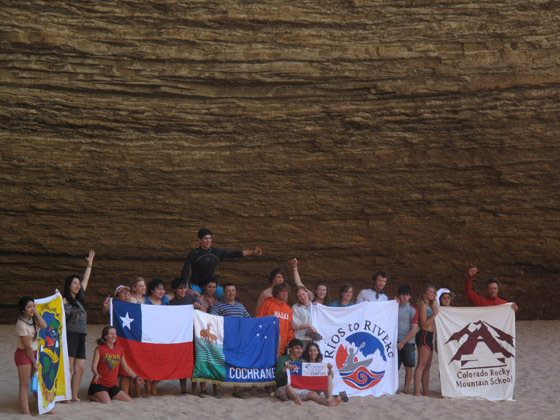 Back in March, the North Americans traveled to the Patagonia region of Chile for a trip on the threatened Rio Baker. 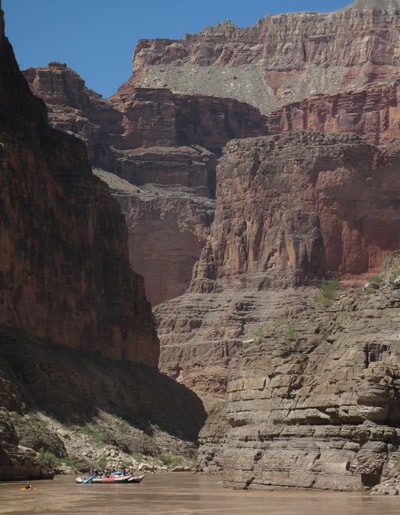 Now it was time to see another world treasure—Grand Canyon—and learn of the impacts that come with hydroelectric development. 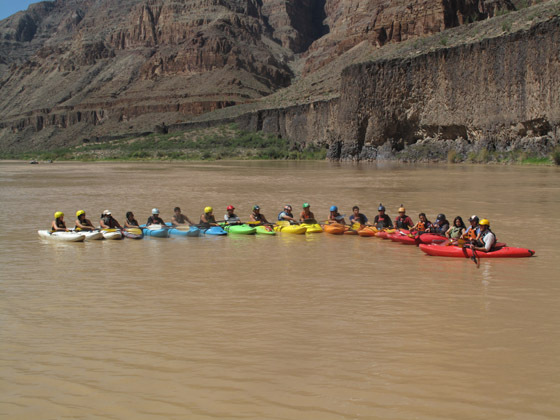 The Colorado River in Grand Canyon is hemmed between dams. The Rio Baker locals are hoping to avoid a similar fate. 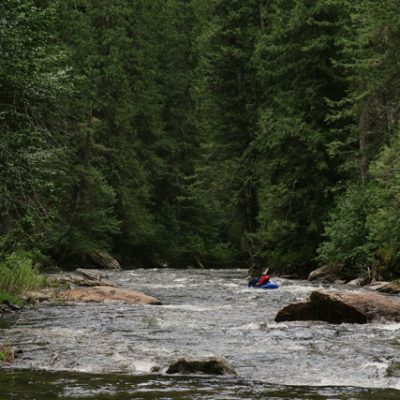 For twelve days the students traveled downstream with Hatch River Expeditions. We paddled every day, hiked to ancient ruins, frolicked in swimming holes, and teamed up for mega fire-lines required to unload a fully outfitted camp each night. Evenings brought out the acordians and guitars, sharing in Chilean and American tunes alike. The schedule was jam-packed, and nobody had more on their plate than Weston Boyles, who is making a documentary film about the Rios to Rivers project, and the plight of Patagonia’s rivers. For Patagonia sin represas, the fight to save Chile’s world-class rivers is now. 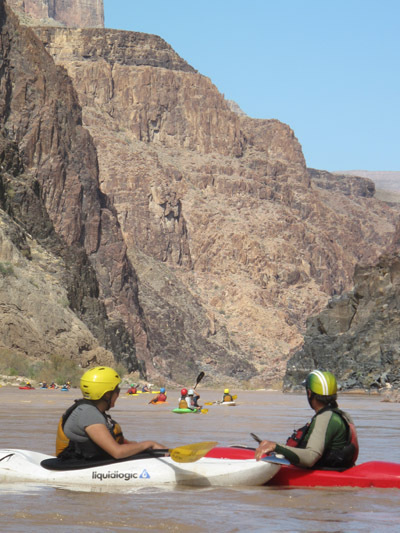 Should that debate rage on into the decades ahead, the Baker will owe its fate to energetic and passionate younger river guardians, some of whom might recall a Grand Canyon trip, and a certain hydraulic that roared with life, and then fell quiet behind the next dam.